When you live in DeSoto you know how vital it is to have reliable air conditioning and heating services. We have a unique climate here in Texas—although our winters are mild, we still reach pretty low temperatures in the dead of winter and our summers are scorching. When you need quality home performance, indoor air quality, heating, or air conditioning services, you need the technicians from our team. We’ve worked in the Greater Dallas Area for over a decade. What makes our team different is our commitment to "Revolutionizing the Customer Experience." We do this by always providing personalized service. If you’re looking for quality air conditioning and heating services in DeSoto, contact our team at Republic Heating & Air Conditioning, Inc. Your air conditioning installation is the one service that effects the overall quality of your home cooling. 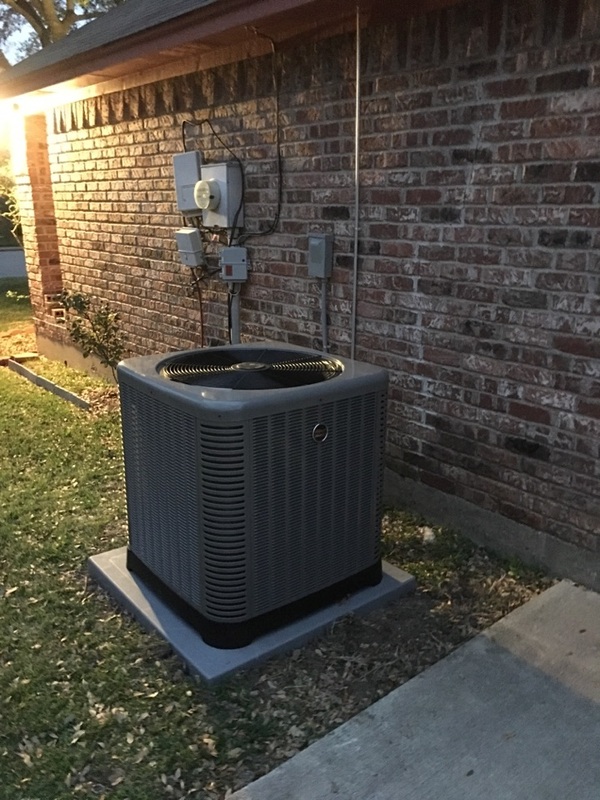 If you have a bad air conditioning installation, the air conditioning system in your home will never be able to perform the way you need it to. Your AC replacement services are also important. What’s the point of upgrading to an updated system if it doesn’t improve the quality of your AC? Invest in your home through the quality care of our technicians. If you’ve noticed that your air conditioner just doesn’t perform the way it used to, make sure that you contact a professional promptly. We provide flawless AC repair services and even have 24/7 service for emergencies. If you need other air conditioning services like air conditioning maintenance, make sure you contact our team. We even have a maintenance plan (The Ultimate Service Agreement) that you can enroll in to receive discounts and other benefits. When you live in DeSoto, you’re often preoccupied by our seemingly endless and impossibly hot summers, but let’s take a moment to focus on the cold weather. When you need quality heating services including heating installation, repair, replacement, or maintenance, you want a conscientious team like ours. We specialize in servicing both furnaces and heat pumps. If you’re ready to take the quality of your home to the next level, it’s time to start thinking about your home performance services. The home performance services we provide here at Republic Heating & Air Conditioning, Inc. include duct cleaning and insulation. It’s important to have a tightly sealed and well-insulated home here in DeSoto alongside clean ducts so that your indoor air quality is high and your HVAC systems work as efficiently as possible. It’s surprisingly hard to have good indoor air quality, and ironically, it’s even harder to have high indoor air quality if you live in a newer, energy-efficient home. That’s because energy-efficient homes are tightly sealed and well-insulated, which makes it hard for any contaminants that find their way into your home to then find their way out.